Thank you for visiting www.janethangproductions.com. Be on the look out for more sources of inspiration from the Strong, Empowered, & Classy Project each week! We are truly thankful for Courtney Griffin’s participation in sharing her powerful perspective with us. Be sure to stay connected with her on the social media links listed above. If you are a Young, Ambitious, & Beautiful women and want to learn more about the organization, go ahead and visit iamyab.org. 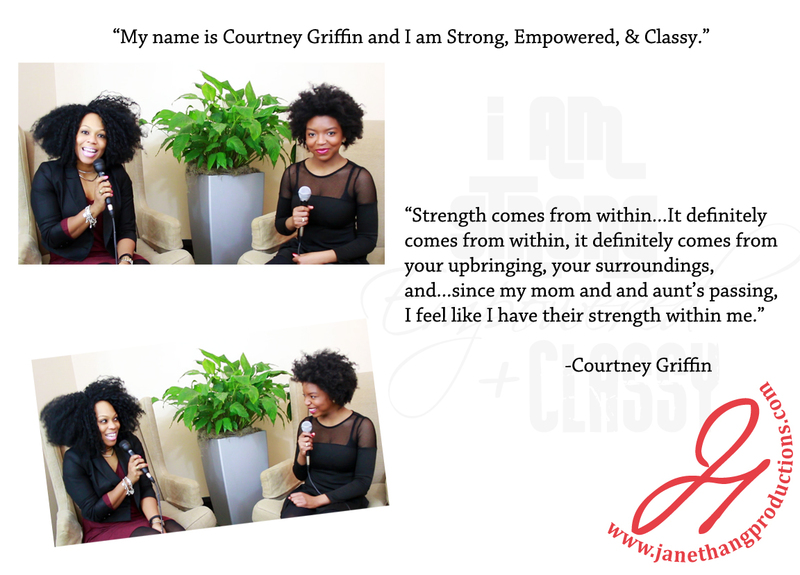 Also, check out Courtney’s first Strong, Empowered, & Classy Blog Interview here.